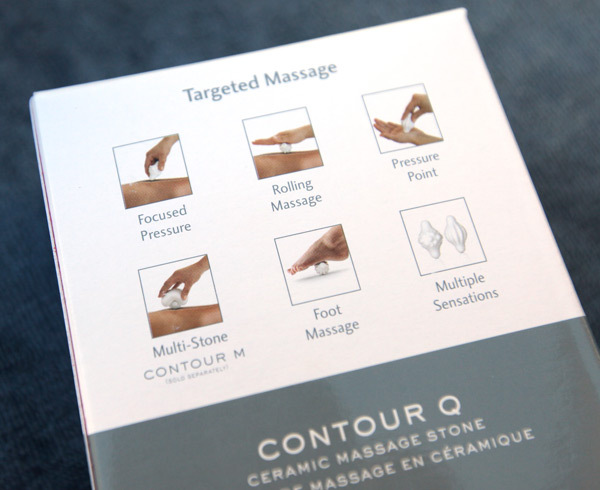 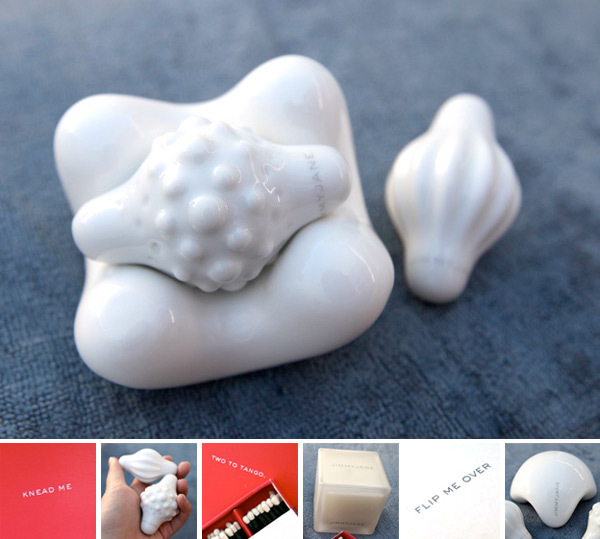 JimmyJane has been expanding their product line quite a bit ~ and the latest addition is the Contour Q pair of ceramic massage stones! 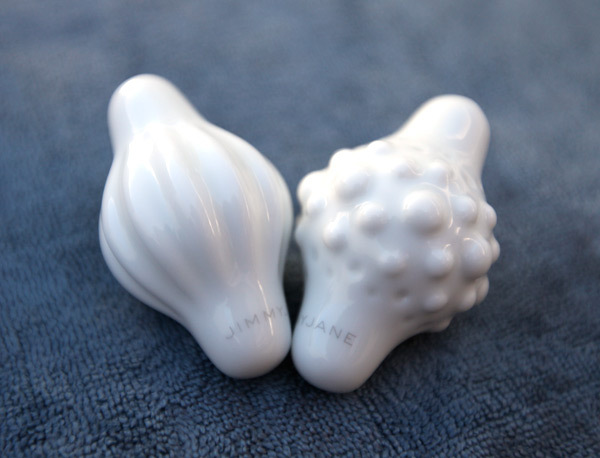 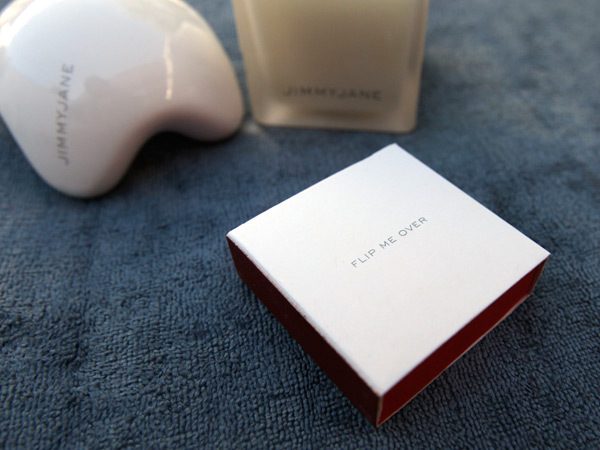 They also work beautifully together with the Contour M… and while i’ve seen pictures of them for some time, seeing them in person, they gorgeously simple as is expected of JimmyJane, and they are more like mini porcelain sculptures you can hold in your hand! 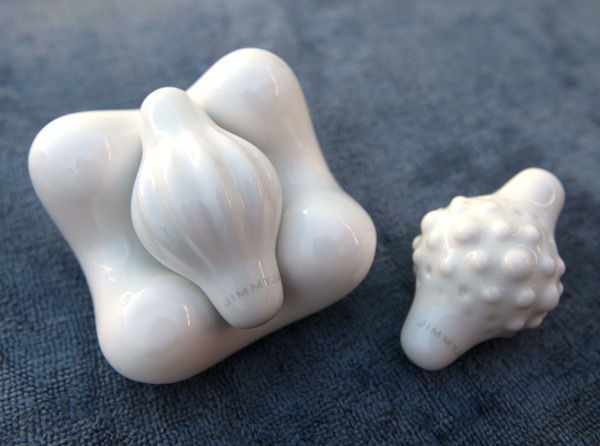 They are “Body-friendly, double-fired porcelain is hygienic and non-porous and can be warmed or cooled for extra stimulation.” Also fun? 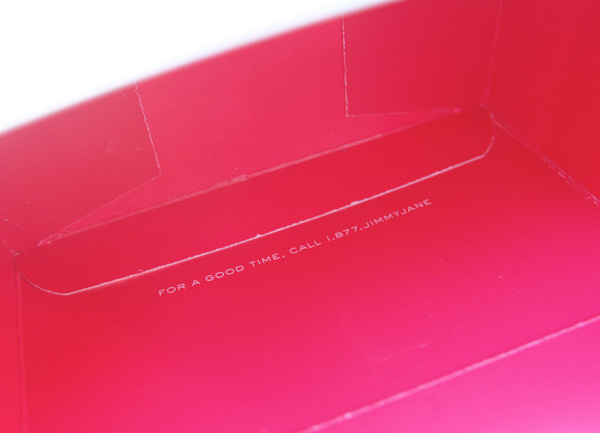 The cheeky pink interiors of the packaging have sayings tucked away… including a “for a good time call…” message if you take all of the packaging out of the Contour M Set… Take a look at all the details up close on the next page!